This team is designed for the serious competitive diver, age 8-18, who learned the basics through participation in our summer Mighty Mahi Dive Program and wants to continue year-round. 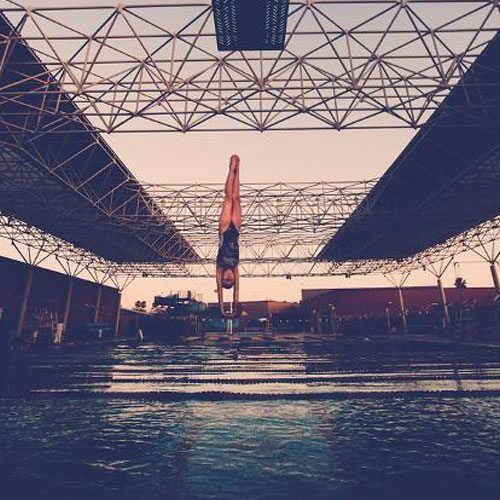 Competitive diving consists of four events – 1-meter springboard diving, 3-meter springboard diving, platform diving, and synchronized diving. The number and types of dives performed in competition depends on the level, age, and gender of the diver. Silver Fins Diving Team is a member of USA Diving which governs the sport from junior athletes all the way to the Olympics. The association determines the rules and regulations of the sport and provides education for coaches, judges and parents. For registration or more information, please contact your local branch.